In 1927 Walt Disney was pleased with some drawings a young man who he had met at a ice cream shop two years before. On their first meeting he had been impressed by the lettering he had done on the menus. Now in need of a job, the young man was hired by Walt but was cautioned, “It might just be a temporary job.” That “temporary” job lasted all the way until his retirement in 1975, 48 years later. That is the story of how Les Clark came to work at Disney. Les Clark was an animator who wasn’t necessarily a innovator or a front man but was definitely one who kept up with the developments and refinements of the art of Disney animation. Devoted to the studio he always continued to work hard and strive to please Walt. Les in real life was very quiet and had no ego. He had a reputation for never declining a job and always giving that assignment his best effort. Les Clark was born on November 17, 1907 in Utah to a Mormon family although religion never played a big part in his household. He was the oldest of a dozen children and had great maturity as well as a great work effort. They didn’t have much money growing up and especially struggled to make enough after Clark’s father had an accident. This made Les have to take a lot of responsibility and really help out his siblings, who had great awe and respect for him. In his teens the family moved to California and he attended Venice High School. It was while he was in high school that he worked at the ice cream shop where he first met Walt. Clark had become fascinated with cartoons and would go to the movies to sit through several pictures so he could see the cartoons over again, particularly ones with Felix the Cat. 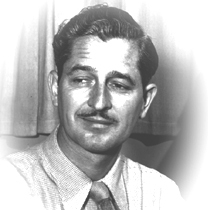 With a desire to get into animation he approached Walt Disney and was hired to start at the studio. When Les started at the studio they were making cartoons with Oswald the Lucky Rabbit and among the employees were Ub Iwerks, Hugh Harman, and Rudy Ising. 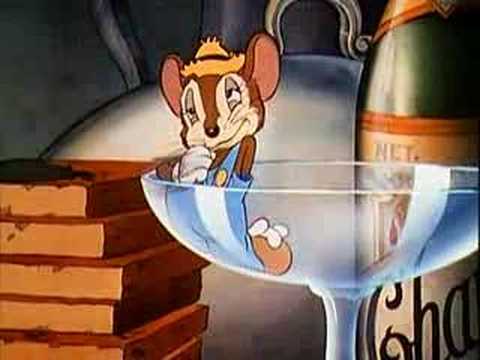 However soon after Universal stole Oswald and contracted almost all the animators except Iwerks. Since Clark was very low down the pipeline he was never approached by Charles Mintz to come to Universal so he remained at Disney. By this time he was working as an assistant to Iwerks, who was starting to animate the first cartoons with Disney’s new character Mickey Mouse. 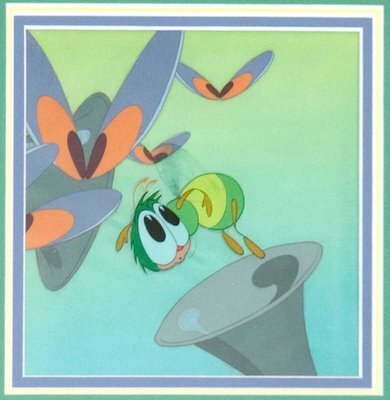 While eventually Les would far surpass Ub as a draftsman and personality animator some elements in his later work would echo that of his mentor. The most notable thing that stayed the same was his cinematography and staging. 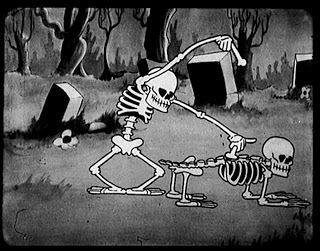 Les Clark made his debut as an animator when he animated the Xylophone dance sequence in the first Silly Symphony the Skeleton Dance (1929). Iwerks animated a vast majority of the first Silly Symphonies but soon after he left to start up his own animation studio. However Iwerk’s departure actually wasn’t a road blockage to the development of the Disney studio and unlike the previous event didn’t cause any artists to leave. With Ub gone Clark stepped up as the main animator and specialist of Mickey Mouse at the studio. Around this time he got a young animator named Fred Moore put under his wing who was a natural animator and would eventually become the most influential person in defining the Disney style. 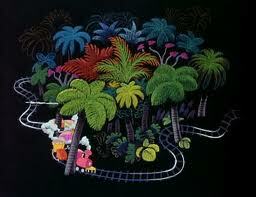 Shorts proved to be a great showcase of Clark’s ability as an animator and he thrived in the medium. 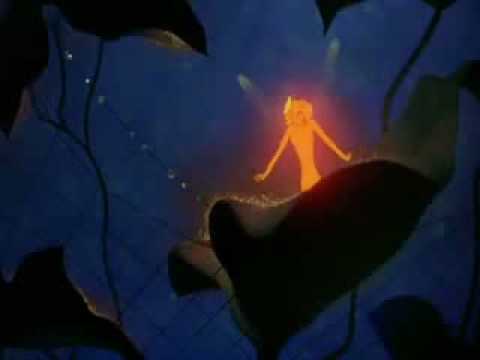 Among the best work he did in the 30son shorts included the male tree giving a caterpillar ring to the girl tree and the girl tree blushing in Flowers and Trees(the first color cartoon in Disney history), great thinking and personality scenes of conductor Mickey Mouse in the Band Concert, and a big chunk of Country Cousin(I particularly love the follow-through action and squash and stretch he did in a scene of the country mouse chewing.) His sister Marceil started to work at the studio as an ink and paint girl and even helped out as a model for Persephone in the unsuccessfully realistic short the Goddess of Spring. Clark’s dad also came to work as the studio as a guard. In the mid 30s a huge amount of artist who had gone to art school and would later become very dynamic personality animators came into the studio. For example in 1934 alone future superstars Ward Kimball, Milt Kahl, Frank Thomas, and Bill Tytla came in just in the time from from April to November! With a feature film called Snow White and the Seven Dwarfs in the back of his mind Walt had begun to bring in Donald Graham, the great life drawing teacher at the Chouinard Institute, into the studio to give action analysis classes to the animators to improve their skills. Les was an avid attender of these classes and in this great improvement his skills as an animator and draftsman greatly improved keeping up the drastic changes going on very quickly. He didn’t fall behind the way many of the older animators who like him hadn’t gone to art school were. 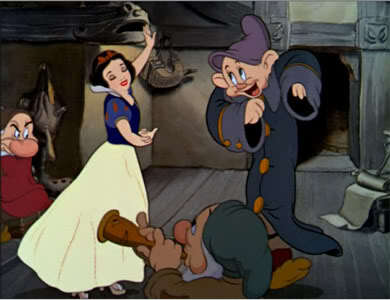 When Snow White started Clark was given lots of complicated scenes with the dwarfs and was a key contributor to the film. His most important scene in the picture is when the dwarfs are dancing in the Silly Song sequence. Les had the challenge of matching the perspective and movements of the cartoony, caricatured dwarfs that were conceived through imagination with the realistic Snow White who was done with the aid of live action. As always he worked his hardest and the results were pleasing. 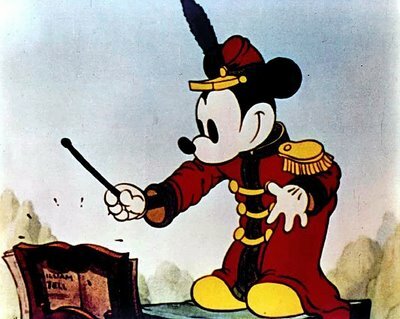 Before going on to Pinocchio Les Clark went on to animate Mickey Mouse in the ambitious short the Sorcerer’s Apprentice, which was done with classical music. 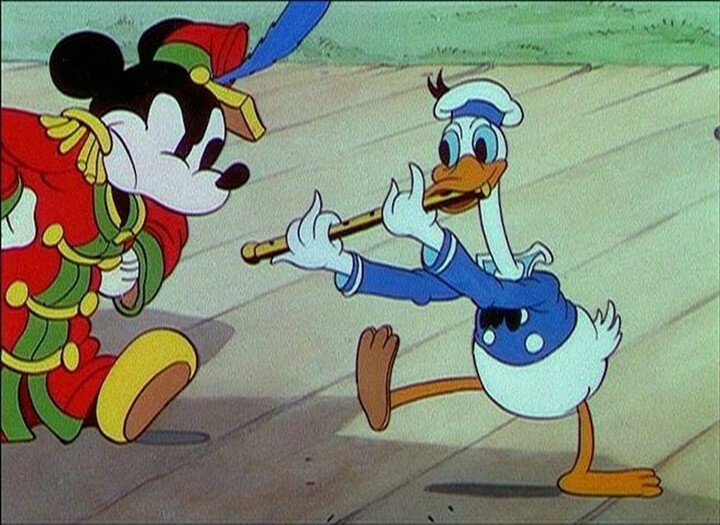 His animation of Mickey in that sequence (which eventually would end up being a segment in the even more ambitious Fantasia) as his best work since Clark’s sensitivity and warmth are really effective in the light-hearted, inexperienced apprentice. We feel real sympathy for the character and very much connect with the worry that is going through him as his innocent mistake begins to have a domino effect. When Les came on to Pinocchio he helped out on many different parts of the movie, primarily in the animation of Pinocchio. 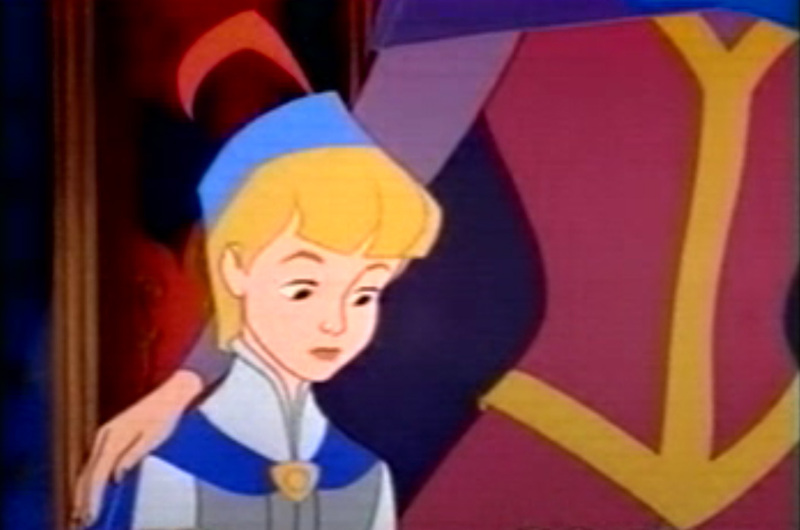 He animated the sequence where Pinocchio turns around when Geppetto is inspecting him before leaving for school. After Pinocchio Clark went back onto Fantasia where he animated the Sugar plum fairies in the segment the Nutcracker Suite. In 1940 the animator was given the honor of having a seat on the newly formed animation board, which he would serve on for many years. Instead of going on to the realistic, low-key Bambi Clark came onto the cartoonier Dumbo where he animated some scenes of the title character particularly in the Clown act sequence. During the war he stayed at the studio animating on war shorts including the Oscar-winning Deh Fuehrer’s Face, where along with Milt Neil he did many of the key personality scenes of Donald Duck showing his turmoil and anxiety of being in a Nazi came. Les also at this time animated the train to Baia sequence in the Three Caballeros, which is a good example of how the animator’s work retained aspects for Iwerk’s animation. He then went on to animate first on Make Mine Music, Song of the South(did a decent amount of the minor characters), and then on Fun and Fancy Free, where for the first time he was credited as a directing animator. Some of his best animation is on that film and he not only animated the warm, gentle Singing Harp in the Mickey and the Beanstalk segment but also lots of Bongo and Lullubelle in the Bongo segment. After that he again worked as a directing animator on Melody Time, where he animated the Bee in the Bumble Boogie segment, and then on Ichabod and Mr. Toad. 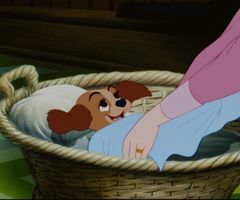 On Cinderella Les Clark animated some heart-warming scenes with the leading lady and along with Eric Larson and Marc Davis was a directing animator on the character. He also did some of the scene where the Prince and Cinderella dance (Eric did most of them when they’re first dancing but Les took over for much of So This Is Love sequence.) Clark also animated a lot of Alice in Alice in Wonderland, including the sequence where she’s at the beach with the dodo. He would serve as a directing animator two more times, first on Peter Pan (primarily on Princess Tigerlilly) and then on Lady and the Tramp (on the scenes when Lady’s a puppy.) After Lady Clark became a director on shorts and for TV. He returned to feature animator to direct sequences in Sleeping Beauty (he directed the opening sequence) but didn’t do too much since they found he wasn’t really feature material. Les briefly returned to animating when he did a little bit of Pongo and Pertrida in Dalmatians but from that point on only worked as a director on shorts and television. After getting the impression that old guys were no longer welcome at Disney Clark retired in September 1975. He would die of cancer 4 years later. Les Clark’s style was in all respects very subtle and sensitive. His work is very pleasant and well done but it never reaches the complicated design and expert draftsmanship of an animator like Milt Kahl and Marc Davis or the intense, deep acting and emotions of an animator like Bill Tytla, Frank Thomas, and Ollie Johnston. In many ways as a man Les Clark was a lot like one of his main characters Mickey Mouse: he was very humble, low-key, helpful, and had no ego. This made him very suitable for shy, humble characters such as Mickey. 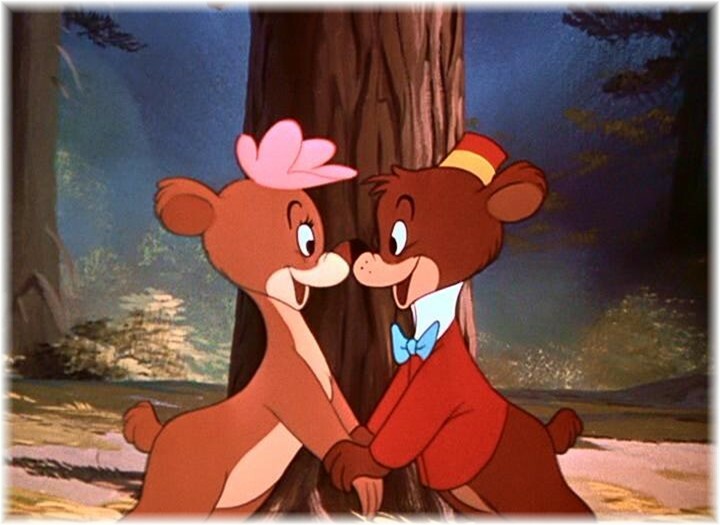 Some of my favorite stuff he did is of the shy Bongo talking to his beloved Lullubelle. The poses are very clear and work together so smoothly. You really feel for that character and connect with the very sincere animation. On Sorcerer’s Apprentice Clark did many great scenes that show great appeal (one of Clark’s best assets.) Watch both the scene of Mickey commanding the broom and of him playing around with magic frame by frame. They show not only great timing but also great technique and personality shown through movements. I recommend taking a look at some of the drawings that Les did on the sequence and on some shorts in the book Walt Disney Archives: Animation. Another one of my favorite Clark scenes is those of the playful, innocent and energetic Lady as a puppy. 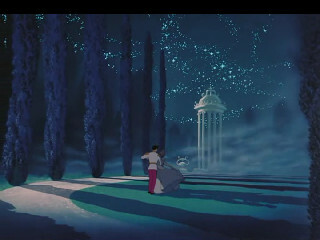 He really gets the movements correctly and you feel the action as she prances around. In terms of improving his craft he was one of the best and took art classes constantly throughout his career as an animator. Les never did anything short of the expectations and was a great at giving each scene his best effort. Walt even directly complimented him for his scenes in Fantasia! However the other top guys weren’t always so keen to Les and oftentimes looked down to him as a B-animator. 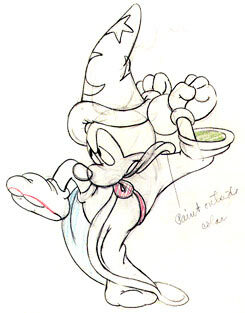 Milt Kahl in particular was very harsh on the animator and Clark was no match to the explosive perfectionist. He also oftentimes ended up doing the scenes that were left after his more vocal contemporaries had taken a lot of the major scenes and characters. As a director, at least in my opinion, Les Clark didn’t really have the chops to do the job and his work at that position doesn’t show great artistic vision or virtues. I think he would have been much better off staying in animation although as always he got the job done. 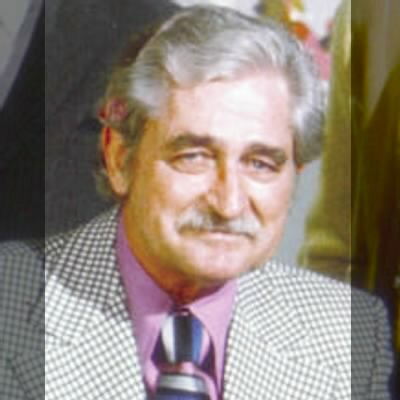 In terms of impact Les Clark is significant in that he was the only animator from the silent days at Disney to have great success and accomplishments well into the feature film era. Most of his contemporaries early in his career either went into story or directing or had faded and receded over time. Clark was always good and really kept up with the art form as the bar became higher. He did very sincere animation and was a great asset to have in order to keep the quality of the films consistent and high. However Les has a fatal flaw when it comes to long-term impact: although he was very good and kept up with things he never really was an elite animator among the top guys and his work was never the most important, significant, or best done at the studio. Clark was a top man but he was never dominant or a front-runner. The only time he was somewhat at the top was in the shorts, particularly the Mickey shorts, made in the first half of the 1930s. However, even though his skill and technique was up to date, he never did the performances that shaped the art form and heavily inspired others. I do though think Les deserves a lot of credit for his work and is ultimately an important figure in Disney animation. I particularly think he left a strong legacy in his animation of Mickey Mouse and in his huge effort to keep up with the ever-changing art of animation. 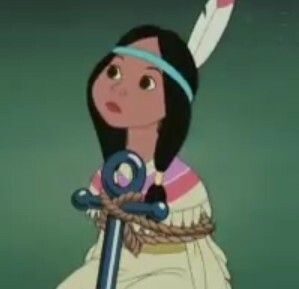 I’ve always found Les Clark as an inspiration and an animator whose work is a must-study. What I learned from studying his work is the importance of appeal and the “less is more” approach he had towards timing. Sometimes you get more sincerity and heart from your scenes if you lay back a little and only move when it is needed to communicate the action and the feeling. 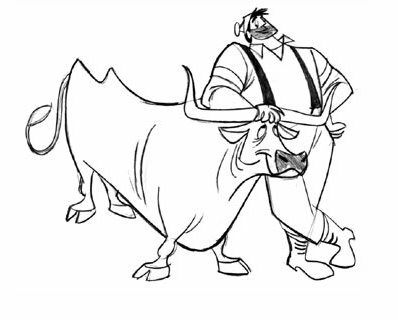 Les’s work is a great example of this approach and only seconds Ollie Johnston, Eric Larson, and Mark Henn when it comes to subtlety in Disney animation. I also find Clark’s great effort and ability to keep up with the changes and developments of animation a great inspiration. Thank you Les Clark for being a great inspiration to me and many others as well as for your great contributions and effort in Disney animation. This entry was posted on July 25, 2011 at 10:44 pm and is filed under Uncategorized. You can follow any responses to this entry through the RSS 2.0 feed. You can leave a response, or trackback from your own site. awsome blog. Thx for sharing!